As the United States and North Korea gear up for a historic summit in May, exchanging views vigorously through public diplomacy is paramount in order to rationalize debates and reduce policy excesses, according to Korea Foundation President Lee Si-hyung. “Ahead of the Pyongyang-Seoul summit on April 27 and Pyongyang-Washington summit in May, only airtight cooperation between the US and Korea can strengthen their negotiating leverage and bring about the North’s substantive changes,” Lee told The Korea Herald at the foundation’s office in Seoul last week. The Korea Foundation is a nonprofit organization under the Ministry of Foreign Affairs, established in 1991 to promote understanding of Korea and strengthen partnerships with institutions and opinion leaders around the world. The foundation undertakes a series of public affairs schemes with key partners around the world, including the US-Korea Future Vision projects, aimed at enhancing collaboration with American scholars, researchers, politicians and journalists. One of the projects is establishing Korea Chairs in key think tanks. Korea Chairs have been established at the Center for Strategic and International Studies, helmed by scholar and policy wonk Victor Cha; and the Brookings Institution, led by academic Jung Pak. The foundation runs the ROK-US Strategic Forum with the CSIS and Korea Foundation-Atlantic Council Forum with the Atlantic Forum. A Korea Chair at Rand Corp. is currently being fleshed out. In early February, the Congressional Study Group on Korea was established, involving US Congress members working to facilitate dialogue and legislative exchanges with Washington's strategic allies, such as Seoul. There are congressional study groups on Germany, Japan and European Union, with Korea being the fourth now. “The United States congressional oversight over the executive branch is more institutionalized than Korea’s,” said Lee, adding various foreign affairs-related decisions have to be approved by the Congress, including the appointment of high-level diplomats. The US’ War Powers Resolution is designed to check the president’s power to commit the country to an armed conflict without congressional consent. The federal law provides that the president can send armed forces into action abroad only by congressional declaration of war. Pointing to the Japan Foundation and Nippon Foundation -- both public diplomacy institutions, with the former being governmental and the latter being private -- as well as Japan’s annual public diplomacy budget toward the US at some $470 million, 10 times that of Korea’s, Lee said although Seoul’s coffers pale in comparison, the country maximizes its resources and capitalizes on its networks, such as the many Korean-Americans holding positions of influence. The foundation also runs an annual networking program through which young scholars and researchers from different countries visit Korea and exchange views with academics and government officials. “In line with our government’s diplomatic diversification strategy, enhancing public diplomacy with our neighboring countries China, Japan and Russia is also very important, not to mention our more distant partners in Southeast Asia and South Asia,” said the president. As Beijing and Tokyo do not receive outside money for public diplomacy activities and have unresolved historical issues with Seoul, it was not easy collaborating with them, Lee explained. Nevertheless, a steady stream of two-way exchanges involving students, journalists and grassroots organizations have occurred. Promoting trilateral channels between Korea, China and the US as well as Korea, China and Japan could be useful, he said. “The economic potentials of South Asian and Southeast Asian countries are huge,” he said, mentioning Seoul’s New Southern Policy that targets strengthened cooperation with those countries. Regarding commercial relationships and deal making with the US, Lee said conventional wisdom cannot be counted upon, arguing experts should break free from their previous modus operandi in dealing with American negotiators. 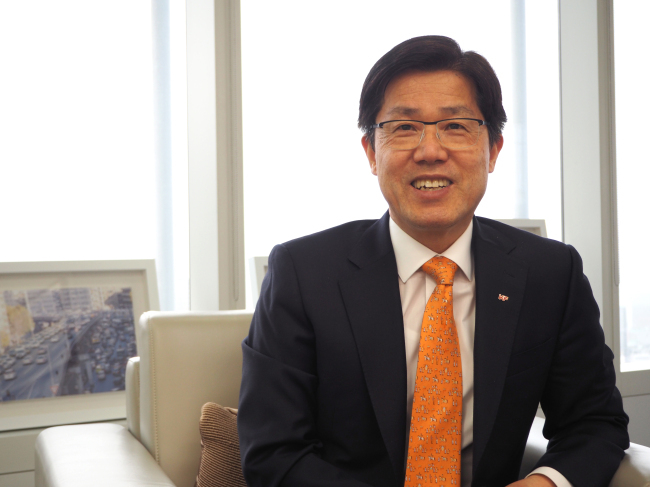 Lee was a career diplomat who served as South Korean ambassador and permanent representative to the Organization for Economic Cooperation and Development from 2013-2015, deputy minister for trade from 2011-2013, and ambassador to Poland from 2006-2009. Lee also offered his thoughts on the fledgling marketization in North Korea.